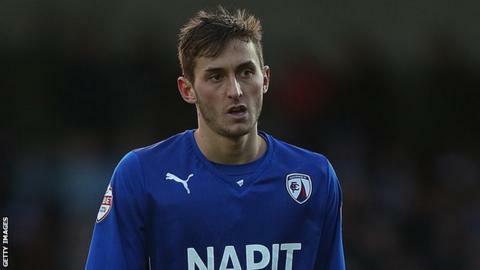 Northampton Town have signed Chesterfield midfielder Ollie Banks on loan until 3 January. The 22-year-old former Rotherham player has made 15 appearances this season, scoring once, having joined the club from FC United of Manchester in 2013. The Cobblers already have six loan players in their squad - Jordan Archer, Tom Newey, Kaid Mohamed, Joel Byrom, Daniel Alfei and Stewart Murdoch. But Newey is injured and Alfei has not featured since 11 November. "He's an energetic midfield player who likes to get forward and we're delighted that he's here," boss Chris Wilder told BBC Radio Northampton.